▷ AvMap Geosat 4 Camp update. Speedcam for your maps. Download update. Free custom download. In order to update your GPS device: AvMap Geosat 4 Camp with the latest update, follow next instructions. 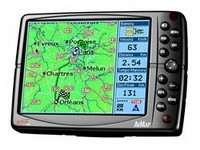 First of all, be sure you got the update file for your AvMap Geosat 4 Camp device, downloaded from SpeedcamUpdates.com. You will need the software for your AvMap Geosat 4 Camp device. You can get the latest updated version from next link. Run GeoSatUpdate and Click the button "database transfer". Select the folder where you saved our speed camera data. The speedcam database will be transferred to your AvMap Geosat 4 Camp device. When finished, turn on your AvMap Geosat 4 Camp device. Press "Menu" button in your AvMap Geosat 4 Camp device and select System Preferences pressing + button. Using the joystick select "Alarm" by pressing + button. Activate Alarm Radar. Now click in P.O.I tab. You will see a new option called "Safety Camera". Activate it.. If you want, you can download an alarm sound from this link.